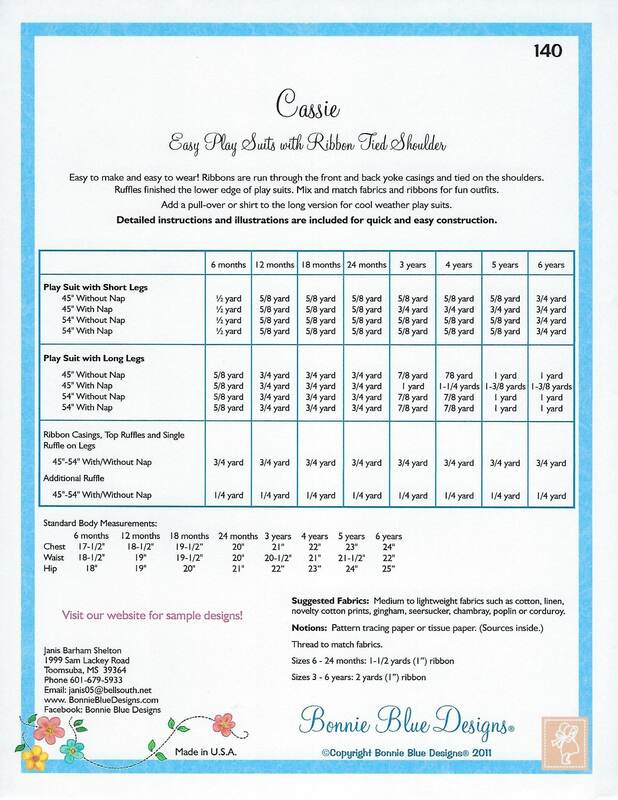 Package includes patterns and instructions to make Easy Play Suit with Ribbon Tied Shoulders. 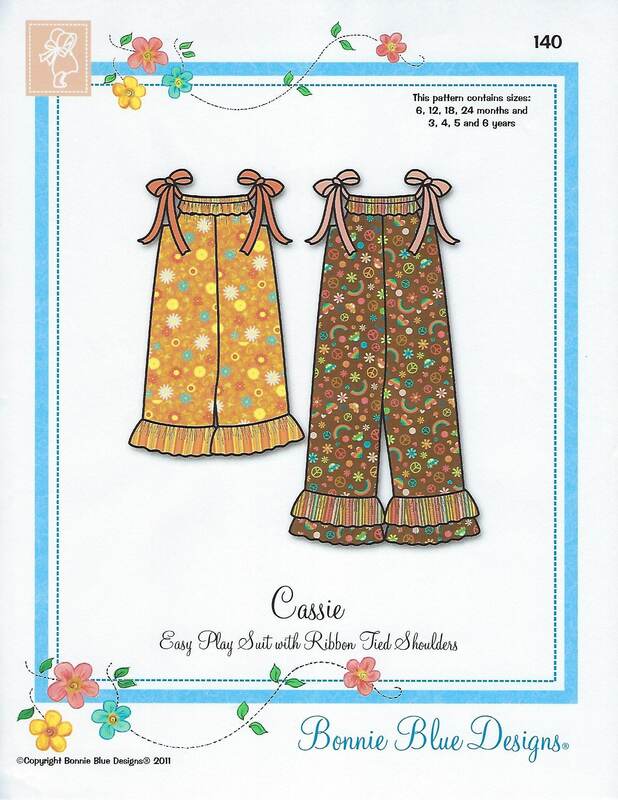 Ribbons are run through the front and back yoke casings and tied on the shoulders. Ruffles finish the lower edge of play suits. Mix and match fabrics and ribbons for fun outfits. Add a pull-over or shirt to the long version for cool weather play suits.